What better way to train than to ride from Brisbane to the Gold Coast. How about doing it on a Brisbane City Cycle? Well, I can tick that off my training list to do. Thanks to Damo, Danny, Hamish, Lucy, Rylie & Zac for a great day in the sun. Sitting on a City Cycle for 6hrs isn't exactly the ideal way to spend your Sunday, but well worth it for the charities the ride supports! 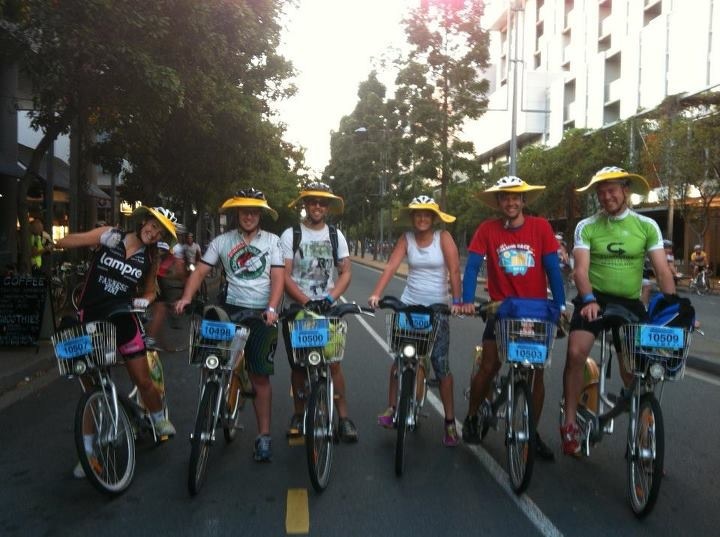 Thanks also to Bicycle QLD for organising the event and supporting us as riders.